Sometimes it is pre-determined by family lineage, socioeconomic status, or just the right pedigree for success. Sometimes it is a credit score, postal code or external image used to compartmentalize a person’s level of achievement. Hard times were normal growing up in the 1970s. My father rarely worked and mother worked about 500 days a year. Her life in Georgia in the 1940’s gave her a fierce resolve to ensure our zip code didn’t dictate our abilities, nor define who we’d become. She was stern but instilled in us values I’ve been able to use my entire life. Respect others no matter what. Never make or accept excuses. 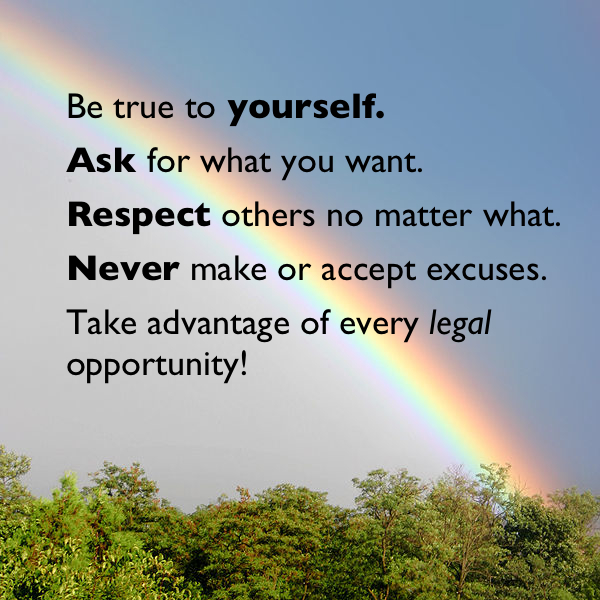 Take advantage of every legal opportunity! Mother would answer our whys with stories, scripture, or graphic truths. In elementary school a teacher recommended me for a gifted and talented program. I hated the idea. None of my friends were going, I could no longer walk to school, and I’d have to get up early. However through this experience, I was introduced to Shakespeare, Tchaikovsky, and saw a whole new world. I grew to love it! My sister became deaf by the age of 2 and gradually became visually impaired. Mother worked diligently to get me accepted to her school. Not again! 4th grade, new school in the Galleria. I just knew I wouldn’t fit in. These kids wore designer clothes, had maids and homes the size of small apartment complexes. Others had severe mental and physical disabilities. I absolutely loved it! I became a PAC MAN and RUBIKS CUBE guru. Most of all I learned more about humanity. As we became teenagers, life lessons changed. Money was tight, we were being teased for being “poor”. Mom taught us to be grateful for every crumb. We quickly learned you can be rich one day and poor the next. Almost every weekend we’d visit shelters to donate rarely used items. We shopped at Goodwill. Our Christmas list had to include a toy for a needy child. We met people from all walks of life who’d lost everything and depended on prayer and miracles to get through the day. Just on the heels of completing high school, I became pregnant. No words can describe Mom’s anger and my fear. She told me to make the best of it and never give up. I had worked at a hospital during high school and figured it would be an easy transition to become a nurse. I worked hard and landed a position working with terminally ill patients. At the age of 20, the most humbling aspects of my duties were to toe tag, wrap a deceased body, and take it to the morgue. These experiences led to me realize that race, money, nor status could change the destination. We all end up in the same place when we are gone. My road in healthcare landed me a role working with surgeons. I worked later in a very prominent practice dedicated to treating terminally ill patients. This experience and diligence led me to a major insurance company and promotion. I attached myself to the hardest workers, accepted challenges to increase my skills and later landed a great position managing accounts across the US. And, I was able to attend my children’s school events and just be a mom. Looking back over the many ups and downs, I understand my course was defined before I showed up. My path had nothing to do with where I came from or what I planned. My success has everything to do with accepting life’s lessons by embracing all the caveats that come with the ability to inhale and exhale freely. 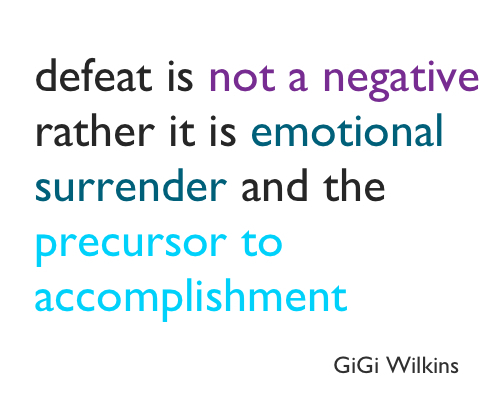 I learned defeat is not a negative rather it is emotional surrender and the precursor to accomplishment. I learned status and title do nothing for your soul if it precedes sincerity. After becoming a mother, I look back and appreciate my mother. I’m still working on my education. I’ve been through it all: divorce, unemployed, and underemployed. Even still, I’ve managed to raise three wonderful children. Most of all, mom answered all my whys and I am eternally grateful for her spirit. Editor’s Note: Thanks Gigi for your wisdom. I cannot wait to see what the next chapter holds.